FedDev Ontario Minister Gary Goodyear, Burlington MP Mike Wallace and Oakville MP Terence Young announced an investment of up to $500,000 in Angel One Investor Network, which will help the network to expand its angel investor membership and to increase its pool of angel investment funds and mentoring support for early-stage companies in southern Ontario. Angel One Investor Network will be using this investment to support its growth and double its membership, enabling it to continue to help companies transition from innovative start-up to commercial success. Over the five-year period of the FedDev Ontario investment, Angel One members anticipate providing $15 million of private capital to about 50 companies, along with leadership in governance, strategy and operations. The federal funding aids the network in preparing the companies for private capital, completing due diligence and developing tools and strategies to improve the process of angel investing. FedDev Ontario’s non-repayable contribution is through the Investing in Business Innovation initiative. It is aimed at strengthening the innovation ecosystem in southern Ontario by: supporting new entrepreneurs, early-stage businesses and angel investors; getting new businesses off the ground; and increasing their access to capital and business expertise. Beyond providing funding, angel investors play a significant role in mentoring and coaching during the early stages of business growth, which contributes to the successful commercialization of innovation. Angel One Investor Network is one of the top angel groups in Canada. The National Angel Capital Organization’s 2013 Report on Angel Investing Activity in Canada ranks Angel One Network first by Number of Investments made in 2013. 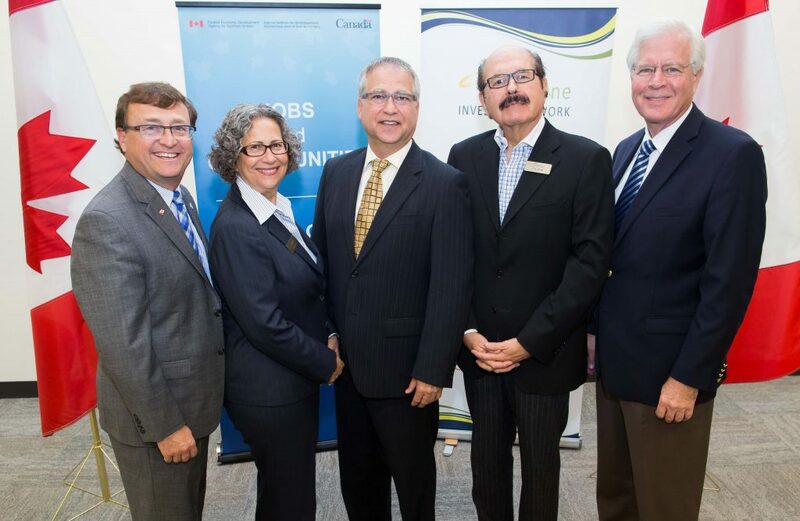 Over the past two years, FedDev Ontario has provided a total of $150,000 in non-repayable funding to Angel One Investor Network under the angel network component of the Investing in Business Innovation initiative. As a result of this funding, Angel One Investor Network has increased its membership from 12 to 110 registered accredited investors and these members have invested more than $12 million in 43 companies, while helping to leverage an additional $18 million. 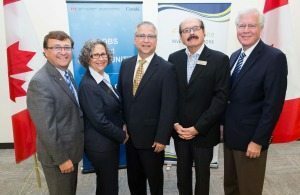 Through the first phase of the Investing in Business Innovation initiative launched in October 2010, FedDev Ontario invested nearly $57 million in repayable contributions to 86 companies, leveraging almost three times more in private sector investments. FedDev Ontario also invested more than $3 million in 13 angel networks and associations. Investing in Business Innovation funding is available for early-stage businesses with fewer than 50 employees; southern Ontario-based angel investor networks; and not-for-profit organizations that provide skills development and seed financing to new entrepreneurs.